It had to be done –no targets or heavyweights, nor fish with names. Therefore, on the banks of the Yser river, I would hunt for carp. I might catch carp whose weight would be of no interest but just the urge to be there, in a backdrop of trenches and restored sand bags, would be irresistible. The peculiarity of this river is undoubtedly that it is forever connected with those events of a hundred years ago. My story and interest in the Great War all started with an old photo. It was an old, faded black and white photo of my great-grandfather, Nicolas Swinnen, that came into my possession. The soldier, simply stood there with his medals, fired my imagination and the more I speculated about the events surrounding his decorations, the more I needed to find out. But so much information was unknown, there seemed to be so little that the family knew about his life. However, quite by chance in my circle of friends I knew someone who had an obsession with everything related to the Great War. So, at the next available opportunity I contacted him, and he was very curious when I mentioned the decorations in the picture. At the sight of old photograph he was amazed, as he had rarely seen such a collection of medals together. He recognised some of them immediately – two in particular, the Yser Medal and the Fire Cross. My friend referred directly to the Flanders Fields where many thousands of soldiers were killed, and where the Belgian soldiers stopped the advance of the Germans during their invasion. 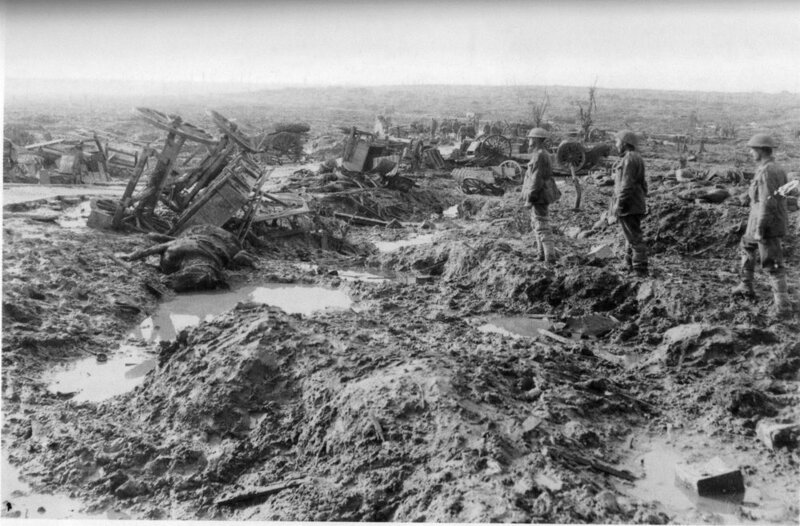 Four long years without family or friends, days on the front line fighting and watching your comrades die around you, cold and bleak winters, diseases and pests in the trenches, putting your life in danger every day – in other words this was the reason why my great-grandfather had medals pinned on his chest. As my friend explained the horrendous events that the soldiers experienced, the hairs on the back of my neck stood up and I found myself full of respect and admiration for my great-grandfather. To try and get a fuller picture of what my great-grandfather and his comrades had gone through, I managed to get hold of a diary of a soldier from the First World War. After reading just some of it I had to stop – it was truly awful and yet pure reality. Something which stuck in my mind were the references to the bitterly cold winters, the frozen hands and feet, and constantly feeling exhausted by illness and hunger. It was apparently accepted that when a fellow soldier was killed he was cut open so other soldiers could warm their hands. Limbs of fallen soldiers were also often eaten because of the dreadful hunger the men experienced on the front lines. Battles lasted for long, unrelenting periods and deceased soldiers were often left for weeks in the trenches before they were buried. Some time later I found myself at a war memorial in Flanders Fields. Everything had been restored but the trenches were very much as they were a hundred years ago. I tried to imagine what it must have been like during the War and I was drawn into trying to follow the footsteps of my grandfather. Whilst moving between the sandbags I realised how the soldiers must have desperately fought for survival day after day, week after week. I wandered into a museum, built in memory of those who fell in the Great War. There were lots of old photos, old weapons and uniforms on display. Time passed and a picture was formed in my mind of the soldiers’ lives and slowly an idea grew that I needed to experience what it would be like to camp on the banks of the Yser river – where along its banks my great-grandfather and his comrades fought in October 1914. Chasing monster carp is great, but the main thing is to be on the bank and sense how night falls and the feeling of dawn as the world comes alive. So a decision was made. I would drive from one corner of the country to another, some 220 kilometres. Soon after I arrived I visited the local museums to again better experience the War years. I moved to the river and set up my tackle, then enjoy a beautiful sunset. Silence fell and everything seemed to be dead – eventually my thoughts wandered off again to the fighting all those many years ago. But the silence is short lived as one of the rods spring to life. Soon the fish is netted and I end up with my first Yser carp weighing 15lb. Shortly afterwards, high-ranking visitors arrive from the Sticky team – Timo and his wife. More carp are caught and in between the bites we talk about then and now – the Great War and the men that died. 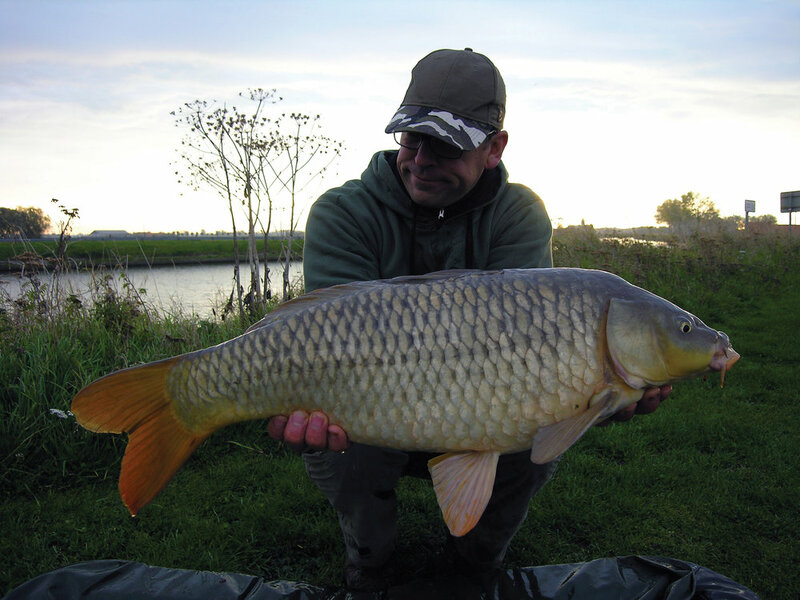 Another Delkim sounds and it’s carp number four. The weights of the fish seems to be increasing but, to be brutally logical, bigger carp were not really expected from this river. We all returned to the sleeping bags, and before we know it the first rays of dawn are finding their way through our bivvies. I didn’t want to miss the experience of the morning on this narrow river, which flows from France to Belgium and then into the sea. Nature is beautiful – kingfishers fly low over waves and many water birds live alongside the wild banks. The view continues to amaze me and I realise that history was written right here where I am fishing. As beautiful as it is now, that wasn’t the case in 1914 with its devastated landscape. Then there were bombed buildings, skeletal trees, fires and explosions, dead bodies and the quagmire of flooded fields with the pervasive smell of cordite and fear everywhere. And the sacrifices were not just of Belgian and German soldiers – this place is also extremely important for the British who joined the Allied forces to defend Belgium. Around Ypres many British come annually to commemorate their fallen family members. The British, and those that fought with them from countries such as Canada and New Zealand, symbolise their grief with poppies and on many memorial days the Flanders Fields are bathed in blankets of red. Soon the warmth of the morning sun told us it was time for breakfast, and as we sat around living and enjoying life, my right hand rod signalled a take. A better fish I thought as the fight progressed and eventually a big common slipped over the net. At 30lb I was very satisfied and it surely it is a fitting and perfect end to my night on Flanders Fields. As I pack up and leave the River Yser I think of the horrors that my great-grandfather experienced, compared to the joy of my visit, and I pray we all do what we can to stop the hell that is war.